Image: The US has used insidious propaganda to distance itself from its own proxies in places like Egypt, portraying ElBaradei and Mohammed Morsi as “anti-Western.” Policymakers have admitted the need to do so to prevent anti-American sentiment from undermining the chances of success for their proxies. Following this logic, overtly “supporting” those the West opposes would be an effective way to in fact, undermine them. Readers should recall during the opening phases of the very much US-engineered, so-called “Arab Spring,” that both the US and Israel intentionally and very publicly offered “support” for the embattled government of Hosni Mubarak in Egypt, despite training and funding the very mobs that were set to overthrow his government. The alleged support was a psychological operation (psyop) designed not to help the embattled government, but to undermine it further. Egyptians on all sides of the political divide viewed the United States and Israel with everything from suspicion to outright scorn. By posing as allies of the Mubarak government, the US and Israel were able to politically poison the leadership in Cairo and deny it any support that could counter the Western-sponsored mobs in the streets. 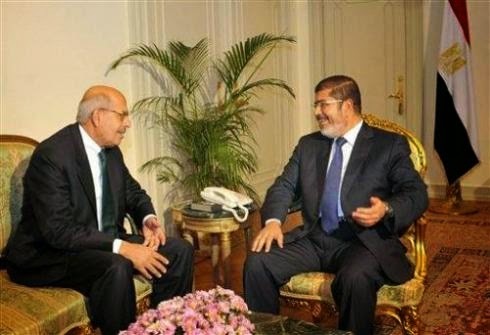 Perhaps most diabolical of all is the manner in which the mainstream media portrayed Egypt’s opposition leader Mohamed ElBaradei. Indeed, ElBaradei was at the very center of the protests, having returned to Egypt a year earlier in February 2010 to assemble his “National Front for Change” with the help of Egypt’s “youth movements” led by the US State Department trained April 6 Movement and Google’s Wael Ghonim. But we were all told he “just flew in,” and that he was viewed with “suspicion” by the West. We were also told that Hosni Mubarak was still our “chosen man” and reports even went as far as claiming (unsubstantiated claims) that Mubarak was preparing to flee to Tel Aviv, Israel of all places, and that Israel was airlifting in weapons to bolster his faltering regime. Obviously those “attempts” to save Mubarak’s regime failed, precisely because they were never designed to succeed in the first place. And on the eve of Mubarak’s fall, the US eventually turned a full 180 degrees around from defending him, to demanding he step down. Fully realizing US or Israeli support for ElBaradei would destroy any chance for the “revolution’s” success, it appears that the cartoonish act of overtly, even oafishly supporting Mubarak in the early stages of the unrest was a deliberate attempt to shift the ire of the Egyptian people toward him, and their suspicions away from the West’s proxy ElBaradei. Similar attempts have since been made to bolster the legitimacy of the Muslim Brotherhood while undermining the military-led government now ruling in Cairo. Beyond Egypt, such a campaign unfolded in Libya against Muammar Qaddafi, with rumors circulated that Israel was trying to save the embattled regime by hiring mercenaries, and even claims being made that Qaddafi was Jewish. Mirroring the cartoonish propaganda aimed at galvanizing Mubarak’s opposition, attempts to tarnish Qaddafi’s image in the eyes of America’s and Israel’s enemies by feigning support for him was attempted, but ultimately failed. Against Syria, a similar campaign by the US and Israel met with even less success. 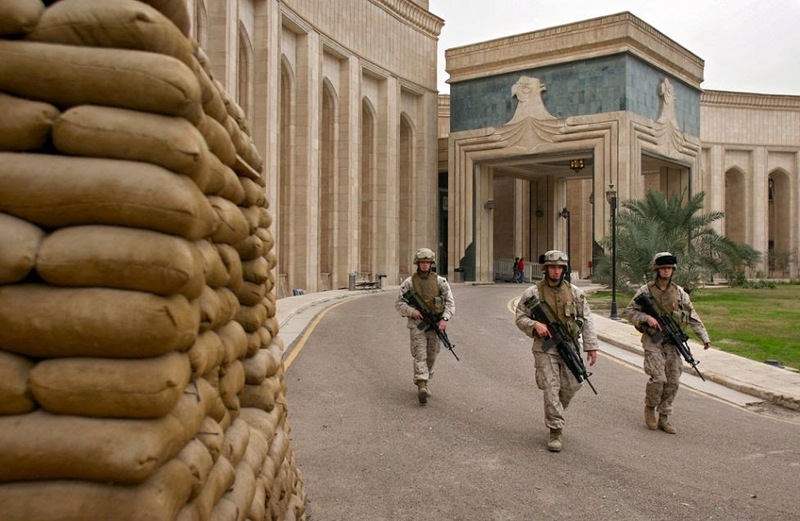 Still, the “political touch of death” the US and its regional allies wield is extended out toward any and all in the hopes that it will help undermine and destabilize targeted nations. 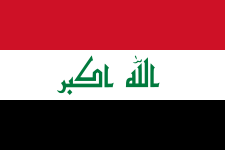 This most recent attempt to portray Baghdad as a benefactor of possible US assistance seeks to both grant the US plausible deniability in its role of raising ISIS legions in the first place, and undermine the Iran-leaning government of Iraq’s Nouri al-Maliki in the eyes of enemies and allies alike.